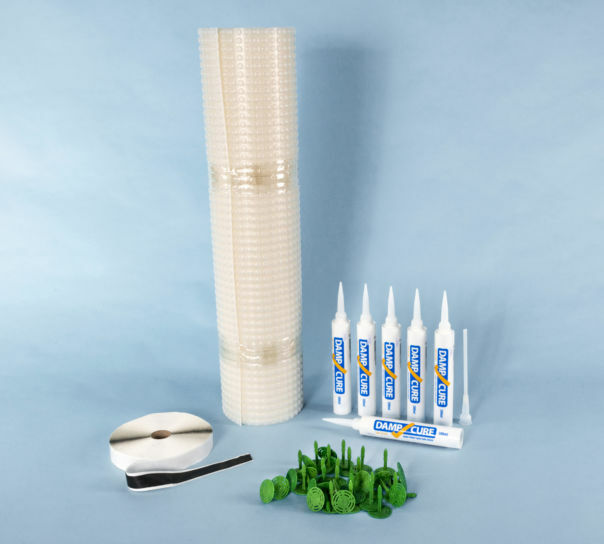 Twistfix supplies its DIY damp proofing kit with everything needed for a do it yourself damp proof course to stop damp walls. 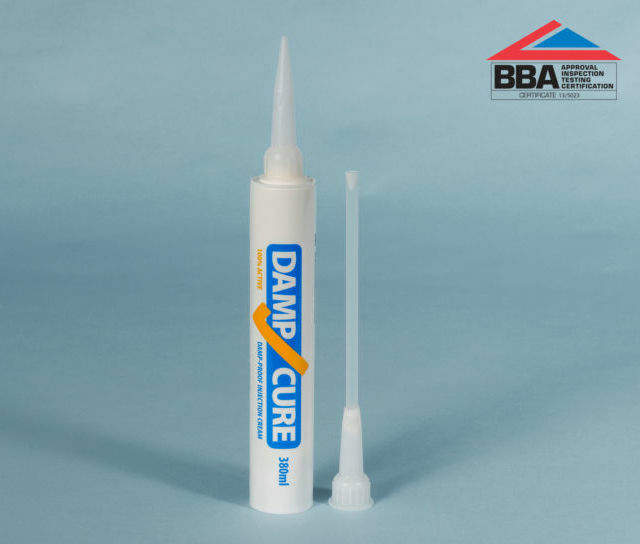 The damp course injection cream offers a highly effective rising damp treatment. DIY damp proofing kit has sufficient DPC cream to provide a new chemical damp proof course to 30m of single leaf wall (allow 15m for 9" or cavity walls). The cream is formulated without thickening agents, using an emulsi­fica­tion process to produce a 100% effective damp proofing cream for use by DIY enthusiasts and Trade profes­si­onals. This pure DPC injection cream migrates fully and rapidly into pores in damp walls to form a chemical damp proof course treatment to stop rising damp. Simply drill a 12mm hole, 90% though the wall at 100-120mm centres along the bed joint chosen for the DPC. Inject sufficient cream to fill the hole to within 1cm of wall surface and leave it to diffuse through the wall and cure to form a chemical damp proof course. Make good with sand and cement, whist cream is in the hole or with mastic if filling after diffusion. When damp proofing a solid wall then one can drill and inject from the most accessible side. When treating cavity walls the inner and outer walls should be treated separately, drilling and injecting the cream from both sides of the wall to form a damp proof course in each. Damp plaster should be renewed to complete the rising damp treatment. My kit was delivered quickly as promised, I'm no DIY expert/­professional and found this method easy to do with everything I needed provided. Plenty of info. Perfect follow up. Delivery service is amazing. Well done !! Products as described. Professional packing and quick order processing. Delivery tracked and managed with focused delivery time management. Excellent communication to customer. Very positive experience. having purchased the dampcure set to remedy the damp climbing up my customers wall, i set to the task at hand..... done! the only problem was I found it difficult to fit cartridges in the provided gun, but its a standard caulking gun which i had anyway. Excellent product, super delivery all as said it was. Only slight quibble would be with sealant gun supplied - didn't fit too well with the big nozzles on tubes otherwise job done without fuss. If you haven't tried Twistfix go to their website and you'll be surprised at their range. When they say they will deliver, they deliver. 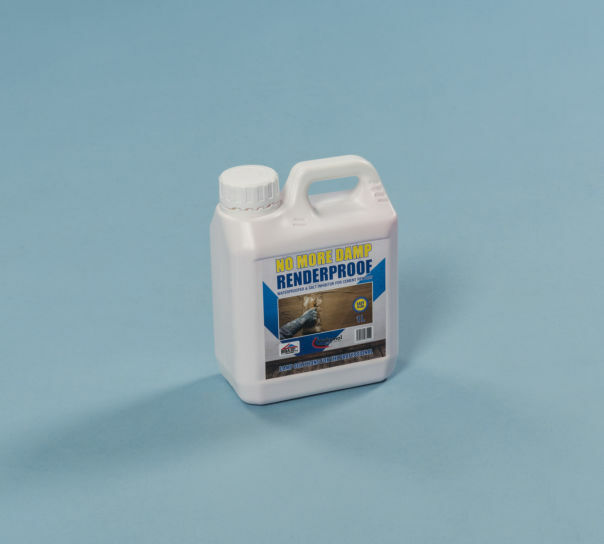 A water-proofing additive for use in sand & cement renders following damp-proof injection treatment with Ultracure DPC cream. An essential part of effective chemical damp proofing in walls.